Welcome to the Nashwauk Chamber of Commerce Website. Nashwauk, Minnesota has a population of 983 and is located in the North East section of Itasca County in the heart of the Mesabi Iron Range. Our hometown atmosphere, friendly people, and sincere hospitality are sure to make your visit fun and enjoyable. With abundant bodies of water and lush Northern Minnesota woodlands, Nashwauk is a sportsman's paradise. We feel confident that you will agree that the area's natural beauty cannot be surpassed. The Nashwauk Chamber of Commerce is the representative for the businesses in our community; supporting our membership (regardless of business size) through networking, advertising, and dedicated committees. The strong support from our membership insures that the Chamber can thoroughly focus on each individual community while providing the benefit of a regional Chamber of Commerce. The Nashwauk Chamber of Commerce meets on infrequent Wednesdays; 5:30 pm; Nashwauk City Hall with a Social hour following. See the Community Events page for details. Thanks to everyone for an extremely successful show! 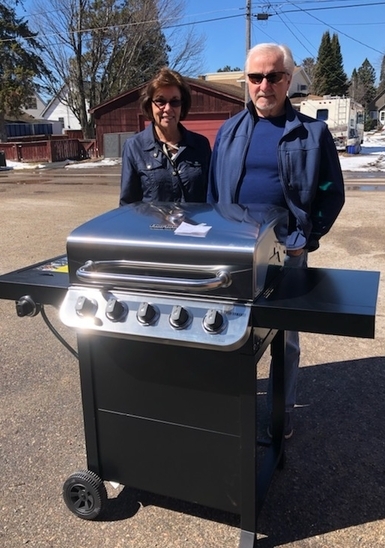 Congratulations to Carol Marlow, winner of the gas grill donated by Pokegama Lawn and Sport, Deb Leclair, winner of the $100 donated by Schweiby's and to all of the other winners!